Palmetto is the common name for plant members of the genus Sabal and genus Serenoa. They are palm trees whose components are used for a variety of applications including wood pilings. Another widely known use for palmetto is as an herbal remedy, whose ingredients are derived from the species Serenoa repens and Sabal serrulata. Both species, referred to as “saw palmetto,” have been consumed by humans for centuries. Saw palmetto grows as tree or shrub varieties, with all species bearing "saw-toothed" leaves that fan out. These plants grow in warmer regions, such as on the southeast coastline of the United States, ranging from South Carolina to Louisiana, including Florida. 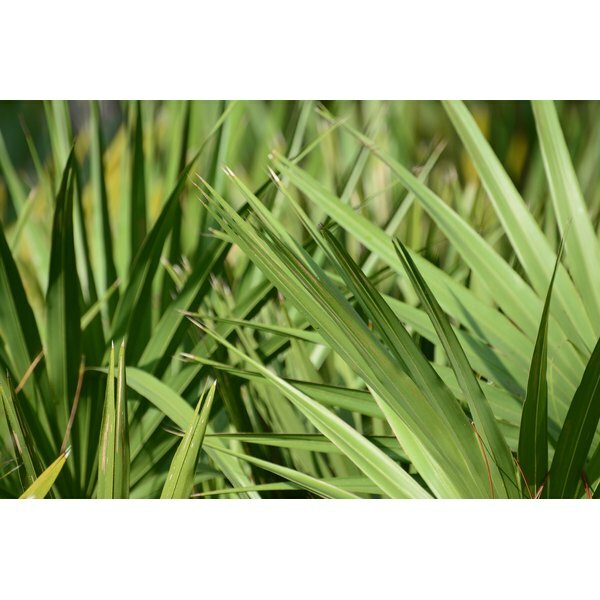 Saw palmetto is found in a wide array of habitats including coastal sand dunes, pinelands and moist forests. Saw palmetto produces flowers that yield berries. Initially, the berries are yellow; however, they turn black with blue undertones when they become ripe. It is the saw palmetto’s berries that are used for medicinal purposes. Some of the earliest reports of saw palmetto’s use as an herbal remedy, traces back to the Mayans. At that time, saw palmetto was used to make tonics. The first reports of Native American use of saw palmetto for male urinary problems, was during the 1700s. The medicinal use of saw palmetto was documented within the United State's conventional medical community for the first time in 1879. Georgia physician, Dr. J. B. Read, published a paper that cited saw palmetto as a diuretic, a cough suppressant, a sedative and a digestion aid -- among other things. Saw palmetto was listed as a drug by the U.S. Pharmacopeia and National Formulary during various periods between 1906 and 1950. Some alternative medical treatments come in the form of vitamins, minerals, enzymes and other related substances than can be found naturally in foods. However, saw palmetto berries are called “herbs” for common usage, and are not found in other foods beyond being a “food” type in itself. While early cultures ate saw palmetto berries directly off the tree/shrub, today, they are primary eaten in the form of dried berries, processed teas and liquid extracts to add to beverages. Saw palmetto also comes in the form of capsules and tablets. The primary ingredients that facilitate saw palmetto’s medicinal effects are plant sterols, fatty acids and flavonoids. As in ancient times, saw palmetto is still used today to treat a plethora of conditions such as baldness, colds, asthma, migraine headaches and sore throat. However, according to the National Institutes of Health and Mayo Clinic, there is insufficient evidence to support many health claims attributed to saw palmetto. Conditions treated with saw palmetto that NIH, Mayo Clinic and the University of Maryland Medical Center have reported effective include benign prostate hyperplasia (BPH) and conditions related to BPH, such as urinary tract problems. Also, recent animal studies have shown a measure of success in treating prostate cancer.